Well, not recently! 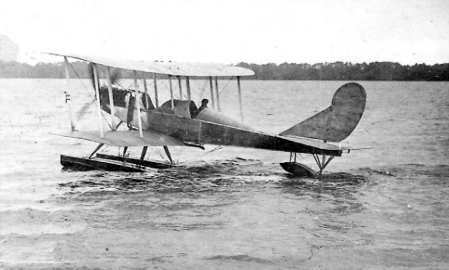 However it’s true that Fleet Pond was used for the testing of hydroplanes by Geoffrey de Havilland and his log book records several flights from April 1912. 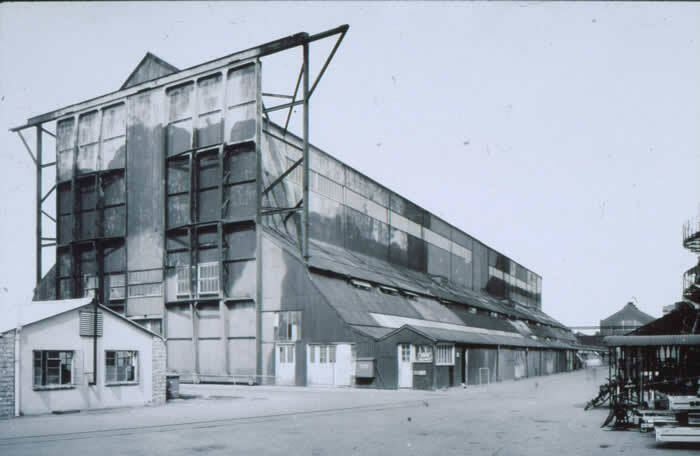 At this time, de Havilland was working as a test pilot and designer at the (then) Balloon Factory at Farnborough. This later became the Royal Aircraft Establishment. Recently (July 2008) a book has been published on The Balloon Factory by Alexander Frater and reviewed here. If anyone has a copy and has found any further information on the role of Fleet Pond, please let us know (via a comment below)! 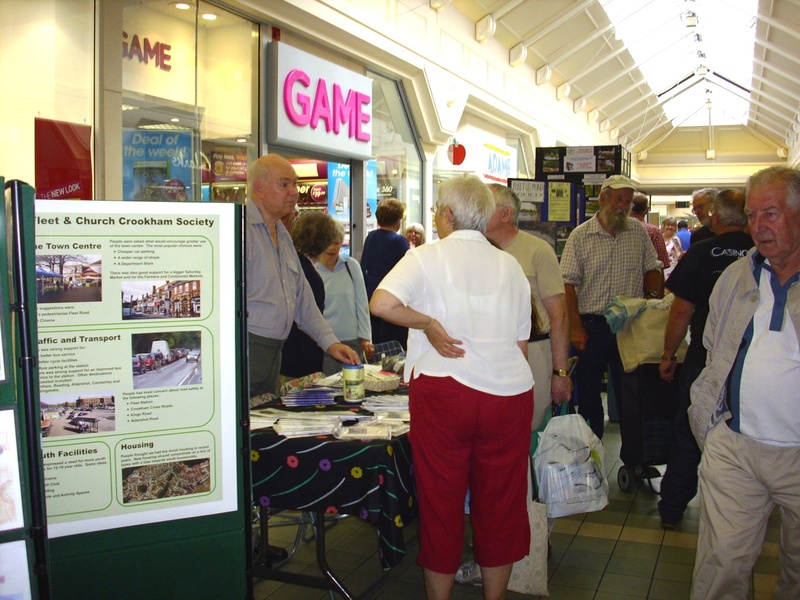 Fleet Pond Society had a stall at the recent Fleet Centenary Celebrations. In spite of the inclement weather there was a lively turnout! Five new members were recruited and funds were increased through the sales of promotional goods and through contributions to the gift box. Details of how to join can also be found here. The Hampshire and Isle of Wight Wildlife Trust is holding a Volunteers Conference on Friday 12 September in Winchester Guildhall (10.30 – 15.30). The meeting will include a guided walk along the Itchen as well as a talk by Guest Speaker Chris Packham, the well-known TV presenter, photographer and author. Chris is also the Patron of The Fleet Pond Society. 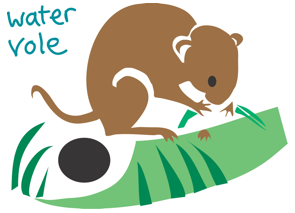 The Water Vole artwork above is by Greg Poole (the Wildlife Trust is currently running a Water Vole Appeal). 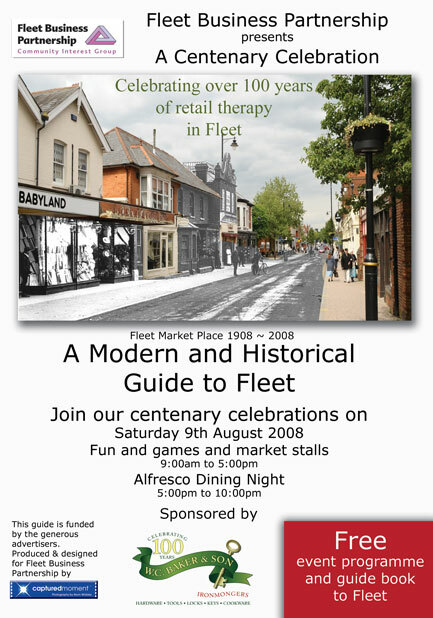 As part of the recent Fleet Centenary events, a free event programme and guide booklet to Fleet was produced. It contained reproductions from an old Guide to Fleet booklet. This booklet is not dated, but information in it shows that it was written about 1908. Further historical information can be found via The Fleet & Crookham Local History Group. Action Earth provided grants of up to £50 (funded by Morrisons) to assist groups in England, Scotland and Wales to carry out environmental projects. The projects ran from 1st March through to 31st July 2008. There were 22 projects in Hampshire and two, Banking on Safety and Go Mud-Free Meandering, involved Fleet Pond Society. 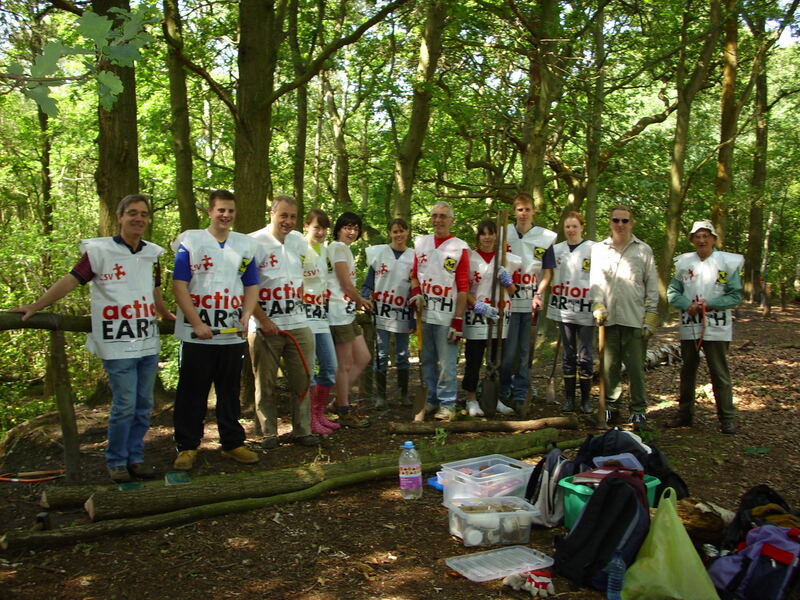 Here’s a photo of the volunteers in their fetching plastic tabards! If you fancy participating in such activities, please contact the Chairman, Colin Gray (details in the About section of this blog). A packed programme of events has been planned for Saturday August 9 as the Fleet Business Partnership presents the Fleet Centenary Celebration. The hardware store W C Baker and Son, which is celebrating 100 years of service in Fleet, is sponsoring the day. As part of these celebrations, Fleet Pond Society will have a stand opposite the Robert Dyas shop in the Hart Shopping Centre from 9.30 to 16.30. Please drop by for a chat on what Fleet Pond and the associated Society have to offer and, if interested, ways in which you and your friends and family can join in. This will take place on Wednesday 10 September. Meet at Fleet Station pay & display car park next to the reserve at 7.30pm. you, however, some will be provided. Duration approximately one to one and a half hours. You are currently browsing the Fleet Pond Blog blog archives for August, 2008.